Behind the scenes there's a new storage engine which will be able to handle a lot more growth in uploads. Let me know if you notice anything odd. The goal detail page now has a map tab. 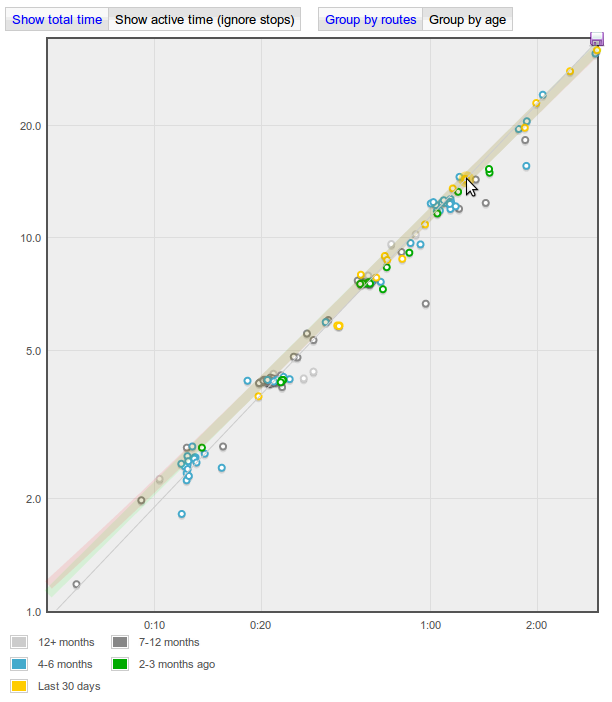 The activity "Comparisons" tab has a new statistic: The split for the first and second halves of the activity. The theory is that if you've paced yourself properly and haven't slowed as you got tired this should be 0 or even negative. 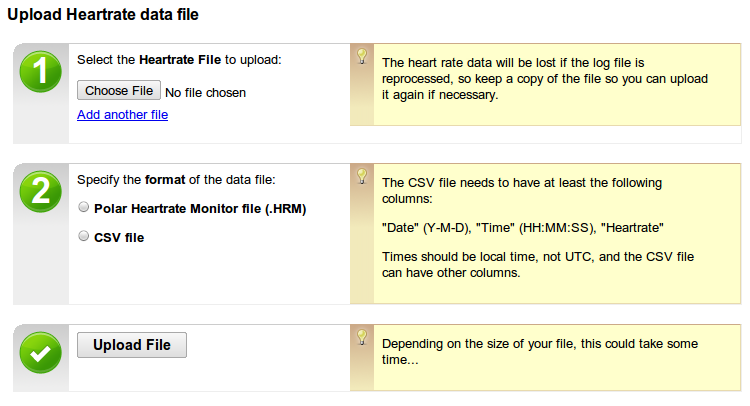 And, finally, it's now possible to upload a heart rate data file from a separate heart rate logger and have it stored together with the appropriate activity. The original files aren't stored on the GPSLog Labs server though, so if you reprocess the log file (add a place, merge segments etc.) then you'll have to re-upload them. 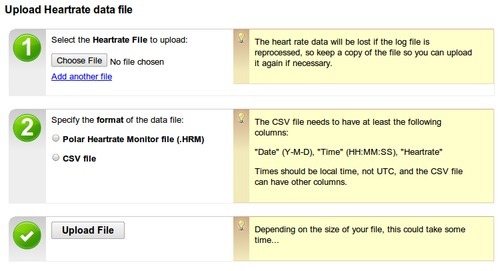 Note that if you have enabled editing of heart rates for a tag, then the "Upload heart rate data file" link will be found on the Heart Rate tab of the activity detail page.